Young Adult (YA) author Jennifer Smith was at a queue in a convenience store when the inspiration for her latest book Windfall came in the form of a man with stocks of lottery tickets in his hand. “I’ve always been interested in moments of change, that exact time when someone’s life changes. There’s not a better example of that than through winning the lottery,” she explained in an interview shortly before a book signing event at Ayala Center Cebu. National Book Store brought another two bestselling authors, Smith and Jasmine Warga, to the Philippines. 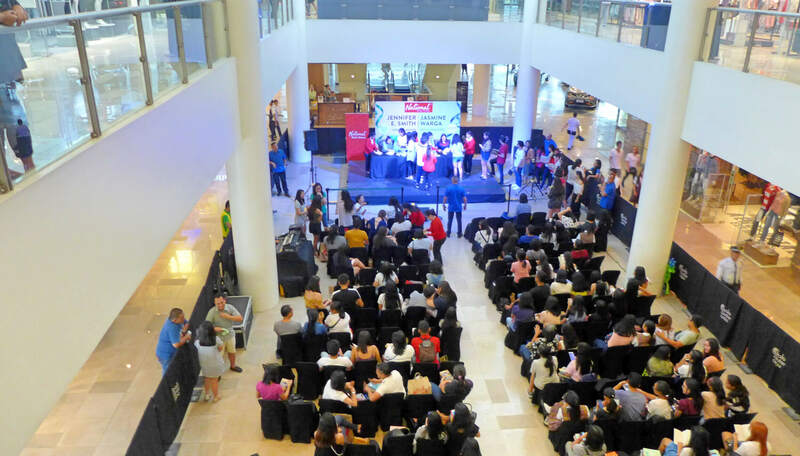 NBS hosted the book signing events for Smith and Warga last November 11 in Cebu and on November 12 at SM Aura Premier in Taguig. BOOK SIGNING. Jasmine Warga (left) and Jennifer Smith talk to Cebu journalists before their book signing session with fans in Ayala Center Cebu. Windfall, which was published in May 2017, revolves around a young woman, Alice, who buys a lottery ticket for her best friend Teddy. It ends up winning him the $140 million but the money soon creates a gap between them. Warga’s new book Here We Are Now tackles the life of Taliah, who recently meets her biological father Julian. He asks her to go to Indiana with him to meet her dying grandfather. Taliah goes on a journey with her father, and soon learns he wasn’t the father she hoped for all these years. Her other book My Heart and Other Black Holes touches on such topics as teen romance, mental health, suicide and has been translated into over 20 languages. Warga said music, though she has no aptitude for it in the way that musicians have, is a common theme of her book because she considers it the closest thing to magic in this world. IN CEBU. Jennifer Smith and Jasmine Warga sign books for fans during an event in Cebu. Smith and Warga talked about how they became writers, their writing process, inspiration for their books, and favorite authors. The two said they had a great experience and already tasted a variety of Filipino food. What they haven’t done yet but wanted to do was try the local Jollibee branch. All of Smith’s and Warga’s books are available at several National Book Store branches in the Philippines.